If you need reliable, efficient ironing services in Charlotte, give us a call. You probably have many household responsibilities to take care of, but only so much time in a day. With all the cleaning, laundry, and other chores that need to get done, it can be extremely helpful to have someone else take care of some of those jobs for you. At Fiv5 Star Cleaning, we are happy to offer excellent laundry services, including ironing, to our customers in Charlotte, North Carolina. Ironing can often be a tedious and time-consuming job, especially when you have many items that need ironing. We know you may just not always have the time to get everything done, and ironing is a job you can trust our team at Fiv5 Star Cleaning to take care of properly. Our laundry and ironing services are a great way to simplify your everyday life. Our team will make sure your ironing is done correctly and efficiently, so you can have your clothing looking great when you need it. With our help and reliable services, you can focus on the other jobs and responsibilities you have without worrying about when you will get the ironing done. Our entire is staff is well-trained to complete your laundry and ironing services, even with clothing that requires extra care and attention. If you need reliable, efficient ironing services in Charlotte, give us a call. Our professional laundry and ironing services will keep your clothes looking clean and wrinkle-free. 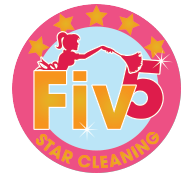 Don’t wait to get in touch with us to learn more about our great team and services at Fiv5 Star Cleaning. At Fiv5 Star Cleaning, we offer ironing services in Charlotte, Concord, Cornelius, Gastonia, and Mooresville, North Carolina, as well as Rock Hill, South Carolina.